The Hart of the Munchkin Patch: Get your Scooby Snacks ready ... It's a #ScoobyDooSleepover! Get your Scooby Snacks ready ... It's a #ScoobyDooSleepover! 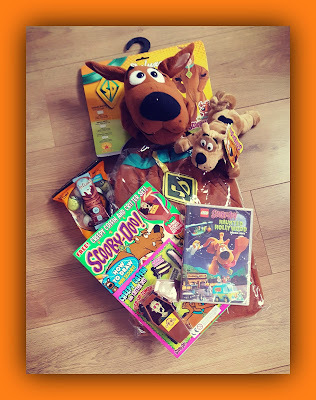 Over the past year or two, Munch, Beastie and Plumlet have all become great lovers of Scooby Doo and his friends, the Mystery Inc. Gang. The fact that this lovable great dane and his pals have been making families smile for almost 50 years is nothing short of incredible, and he is still a hugely popular character when it comes to Halloween. 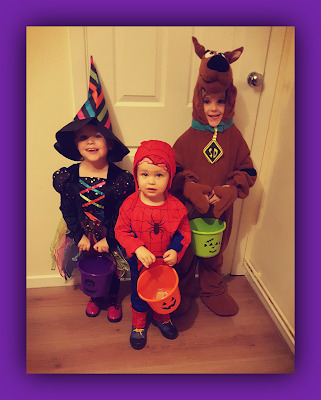 This year, all three kids are very aware of Halloween now that Plumlet is a little older, and they have all been getting quite excited as they admire the decorations appearing around the local neighbourhood and recognise their favourite television programmes are taking a spooky turn with their episodes. 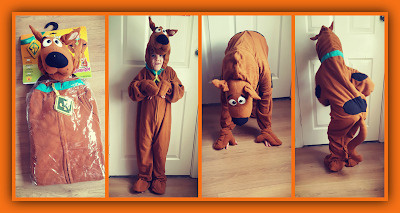 So, when we were asked if we would like to participate in our very own Scooby Doo themed Halloween Sleep Over at home, all three were delighted at the thought and were more than happy to welcome the friendly hound into their home once again! 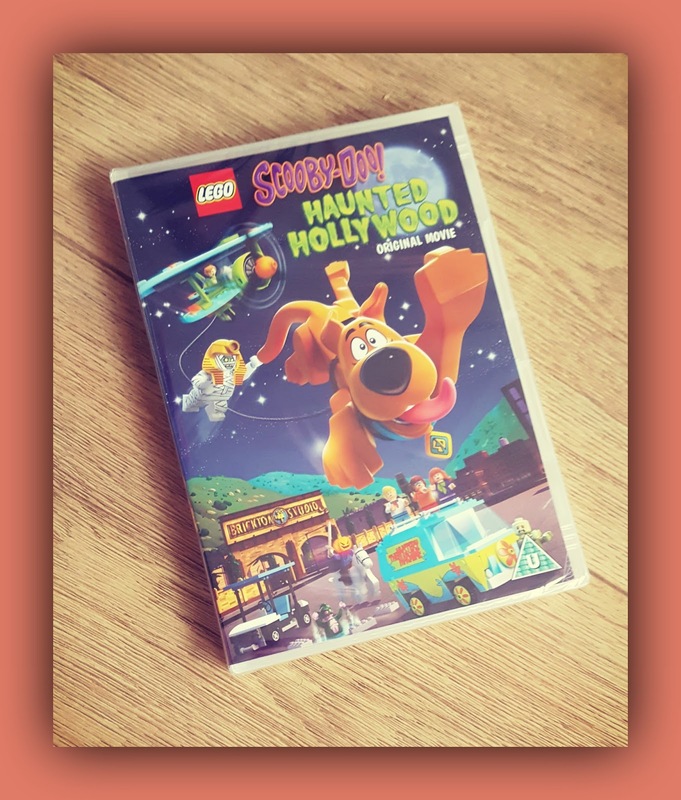 To celebrate the release of Scooby's new DVD; Haunted Hollywood, we have enjoyed a Scooby themed movie afternoon, filled with laughter and gasps a plenty as we joined the gang on their latest mystery solving missions! This is the very first of Scooby's films to incorporate the Lego brand which the children have loved with the girls being such huge Lego fans. In this latest offering, we see Scooby and Shaggy complaining that the rest of the team are always using them as Monster Bait in all of their missions, using the consistently successful bribe of Scooby Snacks. Therefore, the clumsy duo vow never to eat the snacks again in a plight to avoid being such easy targets in the future. However, will their plan work ...? You'll have to watch the movie yourself to find out! It is now available to purchase on DVD, and I don't think you will be disappointed with the most recent instalment. The kids were engrossed, with cushions to hide behind at the ready ... just in case! Plumlet has a new cuddly friend who accompanied him on our Halloween Sleepover, courtesy of Character Toys UK. He's soft, he's cuddly and he's the perfect companion for a sleep over. Especially as he doesn't hog all the popcorn!! This head-to-toe costume is wonderful. A soft textured onesie, complete with hand and feet coverings, a tail and an attached headpiece, you couldn't fail to recognise this lovable, iconic character! All of a sudden, Trick or Treating will be slightly different this year, and there will be one less witch on our local streets ... and an extra playful pooch collecting sweet scooby snacks! 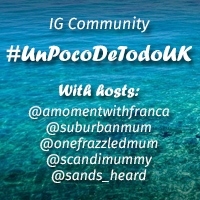 So, in addition to our annual trip around the local neighbourhood, admiring the Halloween decorations and the weird and wonderful costumes that are roaming the streets, we were able to treat ourselves to a cosy family movie night for Halloween, accompanied by three excitable Scooby lovers, some yummy scooby snacks, an activity filled Scooby magazine an awesome Scooby movie and one big, life size cuddly Scooby Doo!! 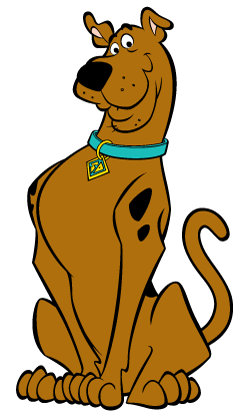 Will Scooby join you for some fun too? We were sent the goodies you see in this post to enjoy for Halloween. No other payment was received and all words are our own. Celebrating Halloween with Bing Bunny!